Can you love someone you can never touch? Stella and Will both suffer from cystic fibrosis. Being together means they could pass an infection. Stella is waiting for a lung transplant; Will is on a clinical drug trial. The only way to stay alive is to stay apart. Staying six feet apart doesn't feel like safety, it feels like punishment. Would five feet apart really be so dangerous if it stops their hearts from breaking too? 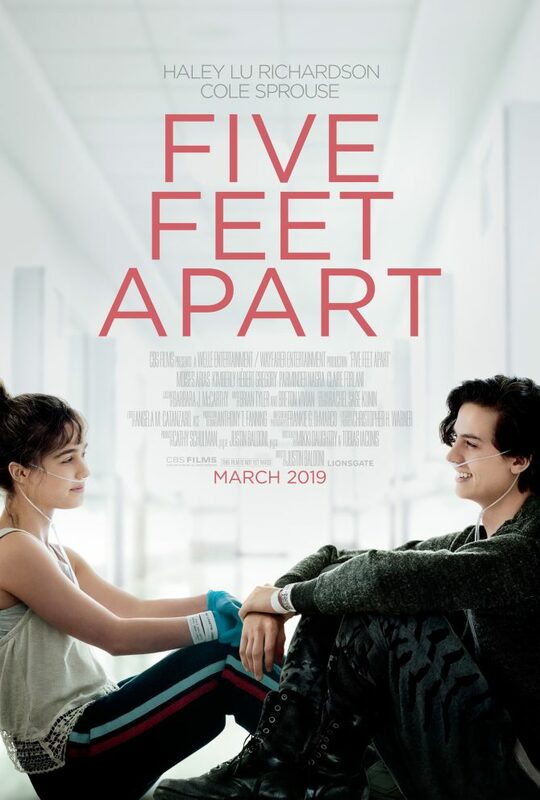 Five Feet Apart is a 2019 American romantic drama film. The film will star Haley Lu Richardson and Cole Sprouse and will be released on March 15, 2019, by CBS Films. If you enjoy love stories tinted with sadness and loss, check out these suggestions. A teen girl suffers from progeria, a rare disease that causes her to age rapidly. This is the story of three unlikely friends learning to live life to its fullest before ultimately letting it go. Told in alternating voices, when Theodore Finch and Violet Markey meet on the ledge of the bell tower at school - both teetering on the edge - it's the beginning of an unlikely relationship, a journey to discover the "natural wonders" of the state of Indiana, and two teens' desperate desire to heal and save one another. Maddy, a biracial 18-year-old, is allergic to everything and can't leave her carefully sealed home. Then Olly moves in next door, inspiring Maddy to start breaking all the rules. View more suggestions for Five Feet Apart.